Welcome to our small registered cattery! We are a home based boutique breeder of Sphynx cats based in Auckland, New Zealand. Being a small Sphynx cattery allows us to provide optimum love, care and attention to our adored Sphynx cats. 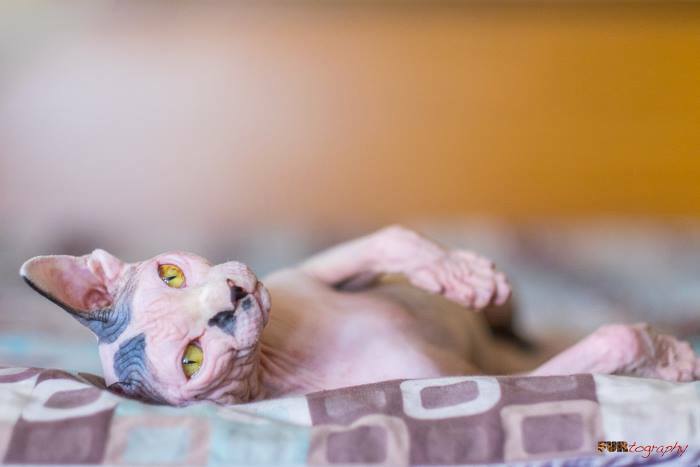 We are dedicated to breeding gorgeous, social, high quality champion bloodline hairless Sphynx cats. We believe in breeding quality, rather than quantity. Our kittens are raised underfoot and share the house with dogs and other cats, and regular visitors. Our Sphynx are sociable, inquisitive, and like to be with you or near you. We are NZ Cat Fancy (NZCF) registered breeders, Imported Lines.